Think of Capability Brown and the first image that comes to mind is usually a magnificent sweeping vista in the English Countryside – the splendour of Stowe in rural Buckinghamshire – reflected water, a distant folly, clumps of trees and grass running almost to the door of the house. It is a distinctive, bucolic and much copied style. And he was prolific, being associated with over 170 gardens in England (when questioned about working abroad, Brown responded that he hadn’t ‘finished England yet’). But it wasn’t all about the countryside. Brown is associated with over 37 gardens within an area ringed by the M25, twelve of them in the inner London. Indeed he spent almost half of his life living in or close to the town, be it Hammersmith, where he first started his own consulting business in 1751, or Hampton Court, were he practised from 1761, when George III made him his master gardener. Some of London’s best-known historic parks and palaces have all been touched by Brown. His handiwork can be seen at Hampton Court, Richmond Park, Holland Park, St James’ Park and even Buckingham Palace Gardens. 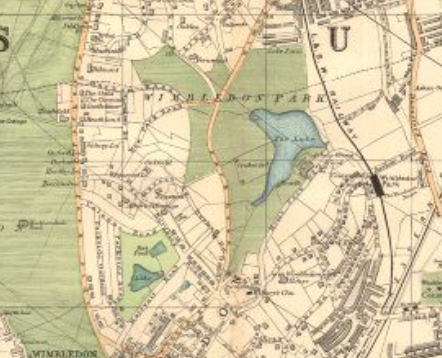 So too have a host of lesser known places ranging from Mount Clare (now owned by the University of Roehampton) and a lake at Harrow School, to a number landscapes that are now golf courses, such as Moor Park near Rickmansworth. At Grey’s Inn in Holborn, a ‘Mr Brown’ simplified existing gardens in the 1750s-60s, rebuilding summer houses and removing walls and planting. This sounds very much like our man. The Thames is a particular feature of Brown’s London work. Two of his landscapes stare at one another across the river: Syon House and Kew. At Syon, Brown worked for the Duke of Northumberland to redesign and enlarge the gardens and park from 1754, joining with another 18th century heavyweight, the architect Robert Adam, who was remodelling the house. Brown created a new serpentine river, more ponds, Flora’s Column, two bridges and extensive planting of trees. 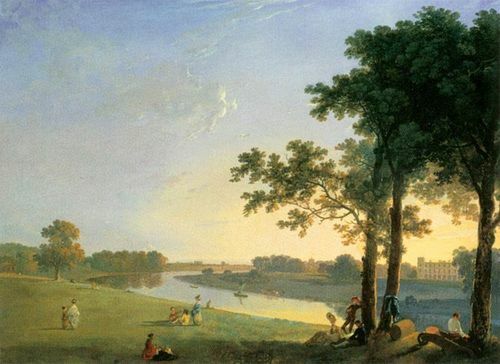 Across the river at Kew, on the site of the former Richmond Gardens, and ten years after starting work at Syon, Brown redesigned the royal pleasure gardens and kitchen garden for George III. Brown also advised his friend, the great actor David Garrick, on the layout of his grounds for his villa in Hampton, including making a tunnel to link the house with the garden by the River Thames. Brown’s London connection continued until his death, when he died, collapsing outside the Mayfair home of his son-in-law, the architect Henry Holland in 1783. World Monuments Fund Britain hosted London’s biggest Capability Brown 300th Festival event on 26th April 2015. Dr Oliver Cox from Oxford University and Tim Richardson from The Telegraph spoke on the legacy of Brown and his relevance today.